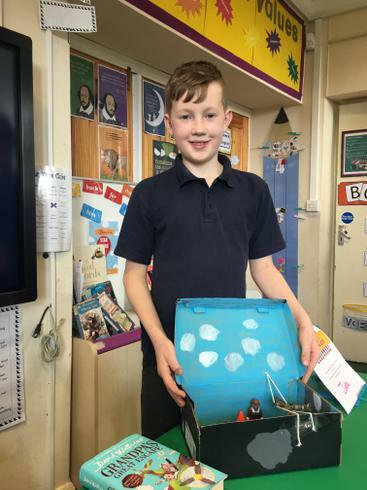 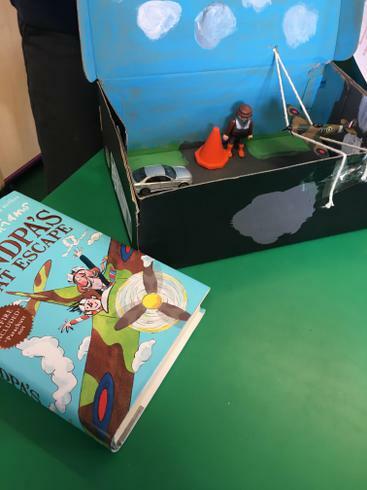 Jake based his box around the book 'Grandpa's Great Escape' by David Walliams. 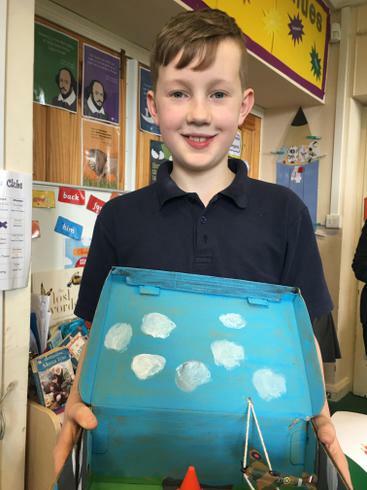 It was clear that Jake had obviously enjoyed this book a great deal and found it very funny! 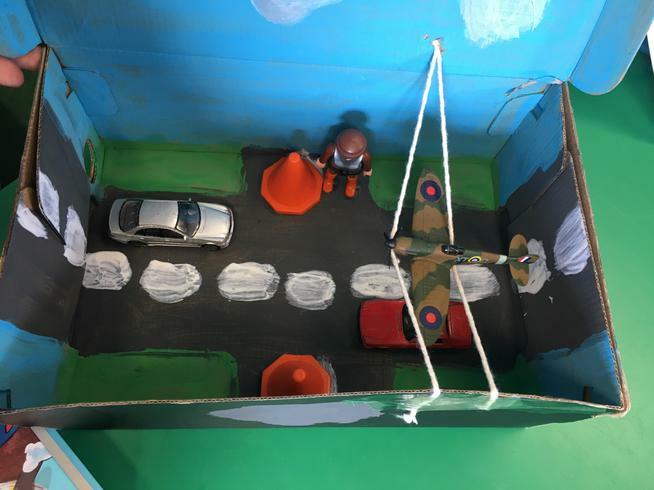 Star Piece: He worked hard to recreate his favourite part of the book, where Grandpa drove the spitfire down the town's main street and eventually took off and flew it into the sky.